The business climate is in a continual state of change. Trends come and go, massive shifts are expected, and you have to be versatile. And nobody knows this better than Jody Davids. The CIO of PepsiCo since April 2016, Davids has plenty of experience working with large corporations, previously holding the same position at Agrium, Cardinal Health, and Nike. Davids has formerly acted as an executive assistant at General Electric and programmer at Apple, giving her a notably diverse and extensive resume. In this exclusive feature, Davids discusses how she first joined PepsiCo, the major way the business landscape has changed over the years, and the industry leaders that inspired her throughout her career. 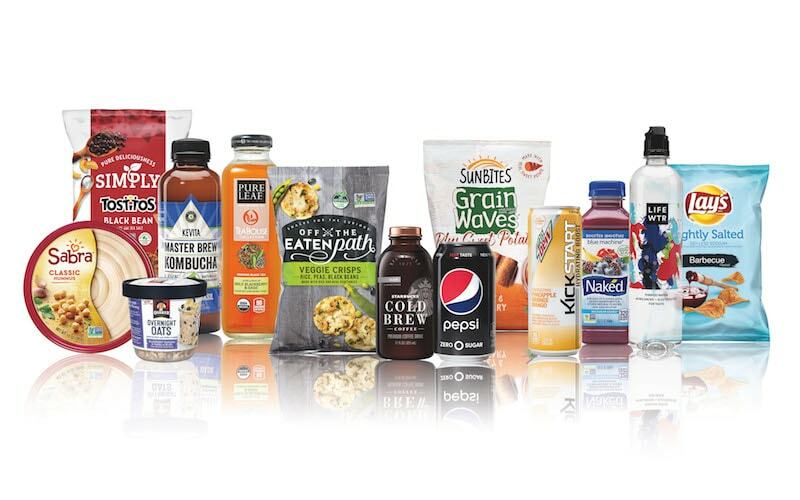 Innovation & Tech Today: You’ve been at PepsiCo for two and a half years now. Tell me a bit about how you got started with the company. Jody Davids: I have an interesting career with some of the most exciting companies in the world. I was just doing a stint at this company in Colorado called Agrium. Agrium is a company that does mining. They take the outputs of the mine and turn it into fertilizer and then apply it to crops. So it’s about agriculture and crop input. I started there as a consultant. I had already retired from my CIO career, or so I thought. I retired from Best Buy as their CIO. So I retired from Best Buy, went to Agrium as a consultant and interim CIO. They asked me if I would stay and I did. But I was on a term agreement for a couple of years with plans to retire at the end of that. I got a call from a recruiter about this opportunity at PepsiCo. PepsiCo is a pretty incredible organization. It’s really global. In fact, a lot of the experiences that I’ve had over my career play into those PepsiCo experiences. We do business in over 250 countries. 250,000 employees all over the world. Just a really exciting opportunity and one that I couldn’t turn down. So I came to PepsiCo, did the interview, fell in love with the opportunity, and here I am. I&T Today: What’s been one of the biggest changes to the business world throughout your career? JD: I started my career at Apple in 1982. So, you know, there was no internet. I feel like a relic. I feel like a history book. There was no concept of network devices. I mean, the world has changed significantly since then. I would say though, in a nutshell, technology has become front and center. Technology is what runs companies. Back in those days, technology was what kept the books; you automated small processes, you kept your inventory. It all started from an accounting base. Today that’s still true, but it doesn’t start from there, that’s just one of the things that technology does for you. Technology essentially is the backbone of the company now. It’s the lifeblood of a company. None of us would think of going anyplace without our personal devices. We expect our personal device to connect to our business. Our devices need to go every place in the world that we go in a day. It’s almost too big of a question to answer. It’s just been a complete shift in the way that people use technology. In fact, maybe that’s what you say, technology has transformed into something that used to be really big and really focused in a giant data center running a business. Today, we all carry it around with us in our pocket and expect to be connected to everyone and everything in our lives through a small device. It’s been a fundamental shift. I&T Today: Who have been some of the major inspirations throughout your career? JD: I never worked that closely with Steve Jobs, but his influence in Apple was pretty amazing. He turned that company into something almost unimaginable when I first started there in 1982. He transformed not just the company, but he transformed the way that we all think and use our technology. He created a completely different way for us to interact with the media that we use all the time with music and movies. We stream video; we download apps. This is stuff that we never did before. He really transformed the way we think about technology. After Apple, I went to Nike. Phil Knight was the CEO there, the founder and CEO. Phil had a similar influence transforming the sporting equipment and apparel industry. In fact, he’s the one who invented this concept called “sports marketing,” where you essentially provide product to an athlete who wears your logo and huge fans pick up your product because they want to be like this star athlete. So for me, the lesson there wasn’t so much that I want to be Phil Knight or I want to be Steve Jobs. The lesson for me, as an aspiring leader, was that I could be myself. In fact, I needed to be myself. I would be the most effective when acting the way that my natural self acts. For me, just watching these two leaders, each really important on a stage in each of their industries, it was a great lesson for me early in my leadership career, that it was up to me to figure out who I was, and that’s who I needed to be every day. I&T Today: What makes PepsiCo different from some of the other large companies you’ve worked with? JD: When I was in these companies, they didn’t have anywhere near the global reach that PepsiCo has today. We’re in the food and beverage industry, so the products need to get to the shelves quickly or they expire. So at Apple and at Nike, while there was the element of seasonality, the shoes didn’t go bad or get destroyed on their way to the shelves. So there’s the element of speed at PepsiCo that’s really important. I think the people here at PepsiCo, the people at Nike, the people at Apple, are all leaders in their own industry, so that’s more of a similarity than a difference. But all are leaders. All of them stand up to do what they know needs to be done for their industry in this particular time. I’ve worked in a lot of really great companies. There’s a real similarity that you find in large successful organizations. You find committed leaders, you find smart people at all levels in the organization. You find people working to make their way up the corporate ladder in these organizations. You find people aspiring to be leaders. You find people wanting to get the job done, wanting to make the mission happen. I would say there are probably more similarities than differences in these world class global organizations. I&T Today: What advice would you have for someone who aspires to have a similar professional journey to yours? JD: Know yourself. Know what’s important to you and why it’s important to you because to do this kind of work over a lifetime, you’re going to need to make some choices in your personal life. You want to really understand why you’re making those choices and how you hope that those choices will help you advance yourself. So I’d say the key here is to know yourself. Have a strong sense of your own purpose. Understand why this is your goal and pursue it with boldness.